I entered in final year of my graduation. Our training and placement department was so strong that honestly speaking I was not expecting a job from campus. I made my mind to go for further studies. For that I was supposed to crack GATE exam with good marks. I was completely out of ideas how to give it a start. I had my regular classes and tutorials that were fairly enough to not let u get extra time for your preparations. My roommate was looking in other direction of life. He was going for management so he was out of my business. I approached to a coaching center in august of 2011; I attended trail classes there for one day. I choose Sunday for that trail as it was the only day of week I had free time. I was with one of my friend who also came with me due to curiosity. We studied for about six long hours that day. Literally speaking we hadn’t studied this much continuously during our whole B.Tech. Hit of such sudden force of hard work made my will power shatter on the floor of my dreams. I was not able to collect those pieces and to join coaching. I did not go again to that coaching. I was such hopeless that I did not study a single word all week long just to compensate that one day trail class. But with time my intuitions started to dig my soul. After one month of restlessness I joined same coaching in September of 2011. I was not same as I was one month before. I had just wasted my one month. Three important subjects in the coaching were finished, that was the punishment for my laziness. Now as it was a regular batch, my batch timings were in evening for weekdays and all day long on weekends. That particular period was uptight as I was also busy in my college endeavors. I used to go to my coaching Just after College. I took same bus in which the girl I like used to go home daily. Fortunately she used to keep a seat for me beside her. That was the only charm left in my life those days. I prepared, but not at my best as I bunked some of my coaching classes also. That was not because of girl, but because of tiredness of college. I was the only one from my batch studying in that coaching, so I was quite alone during the preparation. I found it very difficult to keep myself motivated on those occasions of study. Finally the day arrived and I attended the exam quite cautiously and made mistakes on prime time. It did not go as good as I expected. 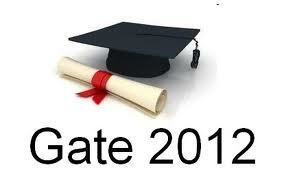 I just qualified GATE exam with 1841 rank out of 21500 students that appeared for exam. The good thing is that I was the only one GATE qualified in my class. This score was good for nothing but I kept my hopes alive by getting call from IIT Chennai for Mtech. I also got call for interview from IIT Bombay in an interdisciplinary branch. But you know that was not my time. All the odds were going against me. I had to cancel my reservation of Chennai because dates of interview just clashed with the dates of my final semester exam. Can you just believe it? It was like heart breaking. It was out of my hands. In no any condition I could left my semester exam. I had to put down interview of IIT Chennai. And I decided not to go to IIT Bombay as I was not getting my desired branch there. Unfortunately I did not get admission in any of NIT as it was a matter of common counseling. I was depressed, waiting, down in the dumps. Though I was GATE qualified.